Dennis Lehane's new book World Gone By is just brilliant. 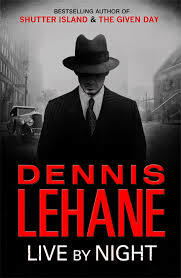 It's as good, if not better, than Live By Night which introduced Joe Coughlin as an up-and-coming gangster during the depression and prohibition years of 30's America. When I read the first in the series, The Given Day, published in 2008, I was completely overwhelmed by Lehane's power as a chronicler of early 20th century America and its developing and frequently ugly power structures. Joe Coughlin was the youngest son in a powerful Boston family which virtually controlled the police force and the emerging union movement. 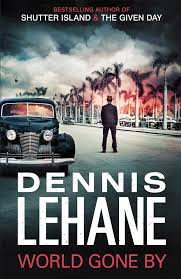 In the second volume Live By Night he leaves for Florida, finally emerging as a smart, charming but brutal head of a major crime syndicate controlling alcohol and drug distribution on the Eastern seaboard as well as running gambling dens and casinos. As you would expect there's a lot of violence. The final novel brings the story to its fascinating but grizzly end. The series is well worth your time. All the novels are exquisitely plotted, gripping and absorbing on every level, and with all the tension and atmospherics you hope for in a quality read. 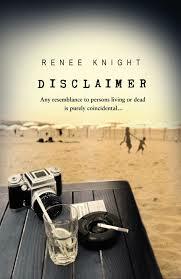 I'd heard of Renee Knight's Disclaimer from early reviews in the trade press - obviously comparing it favorably to Gone Girl, the contemporary benchmark for relationship thrillers - so was looking forward to reading it. The press were right. Structurally the two novels are similar. There are various narrative voices and time shifts, and they share a husband and wife focus. I enjoyed it immensely. It's well written, far more credible than Gone Girl, and the drama has an incredible drive and tension that unfolds at just the right pace. 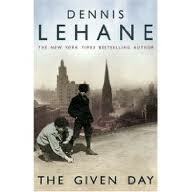 It's a cliche, but I did find this book hard to put down. And, thankfully and all too rarely, the ending is perfect. Deeply satisfying, intellectually and emotionally. No wonder the bids for the publishing rights went through the roof for this. It will be a mega seller and a blockbuster movie. This is just superb. Kilcullen, a Middle East and counterterrorism expert, was a senior advisor to General David Petraeus and US Secretary of State Condoleeza Rice from 2005 to 2008, and was an advisor to the UK and Australian governments and NATO prior to this. In the first half of the essay he delves deep into the disaster that was Iraq, and how absurd the original decision to invade was. He then describes how the forces unleashed via that hellhole, the warring tribes, traditions, factions and personalities, gave rise to ISIS. The final section of the essay presents the challenge the West now faces, and how it should deal with it. I found it very persuasive. 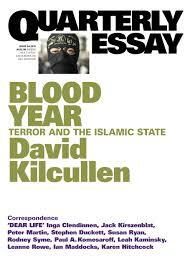 And Kilcullen can write clear English, which helps. 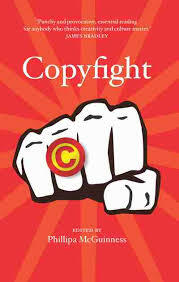 This new Australian tome on copyright and the digital age was published a few weeks ago. It defines what it means to be a 'curate's egg': good in parts. It's a collection of opinions edited by Phillipa McGuinness, publisher at NewSouth Publishing/UNSW Press. Phillipa wrote the Introduction. Unfortunately it's one of the bad parts. She name-drops copyright gurus such as the highly respected US author William Patry but never intellectually engages with them. Like many of the content industry representatives in this collection the sneer and the scoff are meant to do the job. The many good pieces in the book however more than make up for the bad. Film critic Marc Fennell is excellent, as is Professor Sherman Young, authors Carolin Window and Linda Jaivin, broadcaster Dan Ilic, historian/librarian Tim Sherratt and academics Dan Hunter and Nic Suzor. Their views are progressive and insightful. While respecting copyright they know the law needs serious reform. By far the worst and in fact most disgraceful piece in this collection is by Jose Borghino who is currently Policy Director at the International Publishers Association (IPA) and was formerly with the Australian Publishers Association. It's elitist, nasty and cynical. Users and reformers are moochers. They are 'freetards'. It's truly awful, braindead stuff, but unfortunately so typical of industry representatives constantly mouthing the old and by now discredited corporate line. I'm always reminded of Upton Sinclair's famous dictum: 'It's hard for a man to understand something when his salary depends on his not understanding it'.